In this part, all the journals having scopes related to “energy, environment, and chemical engineering” will be indexed. 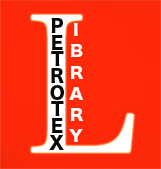 Journal publishers are invited to submit their application forms to Petrotex Library. Each Journal will have a separate profile in order to publish the latest news and issues online in Petrotex Library. Petrotex Library is going to be a full directory of engineering journals relating to above fields. It is designed to help authors, researchers and engineers find the best source for information. They will also have a chance to send us their paper title and abstract and we will introduce them the best journals where they can publish it.